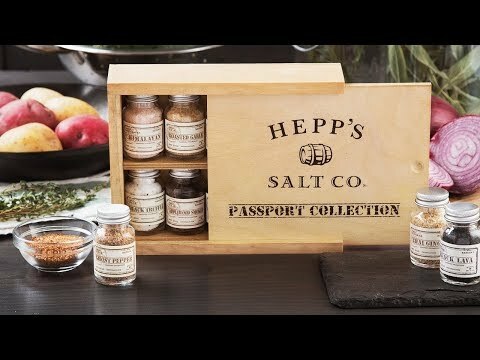 With this finishing salt gift set in your spice rack, elevating everyday dishes with globally-inspired flavors is just a pinch (or a few) away. 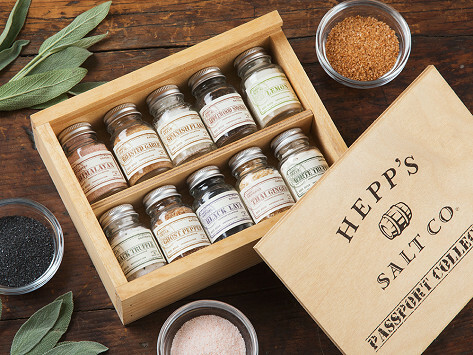 All-natural sea salt is enhanced with robust flavors like black truffle and roasted garlic. They’re Made in the USA without any additives, artificial flavorings, or anti-caking agents and come with flavor profiles and suggested cuisines to spice things up. Dimensions: 8.25" x 6.5" x 2.5"
This item was a gift for a dear friend. To date, I haven't heard anything about this item. When it is used I'm sure I'll be told about it. I bought this collection for my husband for Father's Day and he loves it! Fantastic collection...just try it and you will understand! This is my third purchase.....Daughters tried it so I had to order two more...yes they are spoiled by Dad.